When you come home from work, I like to switch from the problems of the office home to change into comfortable clothes to relax and unwind. This will help us nightrobe. And if you sew it with your hands - it is doubly pleasant to wear. Before sewing the gown, we need to prepare the fabric to work. The segment must be rinsed in warm water, dried and ironed. 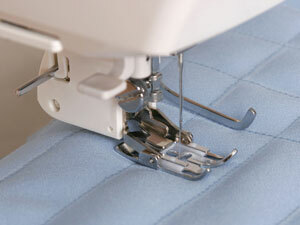 This applies to any sewing, because after washing the fabric may behave committed unpredictable. May or shed, or to sit down. So check the fabric before sewing so as not to spoil washing the finished product. Then we need the pattern of the robe. If you have a finished pattern, in your size, then use it. 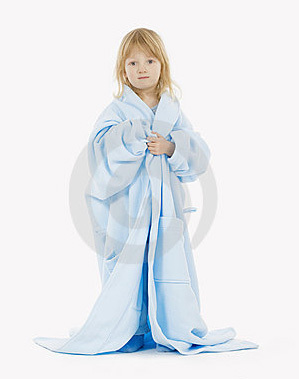 If you do not have a pattern for a Bathrobe, very convenient to use a dress pattern, only slightly modify it. For Bathrobe you need to add the sleeve length, make them a set or shift, and make the split shelf from top to bottom. Add about 10-12 inches to the bottom of the pattern and to cut the shelves to robe when plowing did not disperse. You can also increase the size of the dress to the gown didn't drag you too much, it's home clothes. The next step is to cut out our coat. When cutting don't forget the seam. Their value depends on the thickness of the fabric. Then smetimes our gown, definitely trying. Thread for smachivaniya better to take a contrast, to be looked at when you remove the basting. If you found any flaws in the fitting, cut and correct the flaws immediately, do not leave for later. So, after tacking and the last fitting, you can begin to sew the entire coat to the clean copy". In the end, it is necessary to sew the hem of the robe, to pull a running thread, to iron the seams, to handle loops and sew on buttons. Bathrobe is ready! Bathrobe for everyday wear better to sew simple fabrics: cotton or Terry. For the "output" option is better to use silk. Come home and change into comfortable favorite attire is always nice for any woman! And let this kind of thing can be purchased in stores, but especially valuable are they when made by hand and directly on the figure. 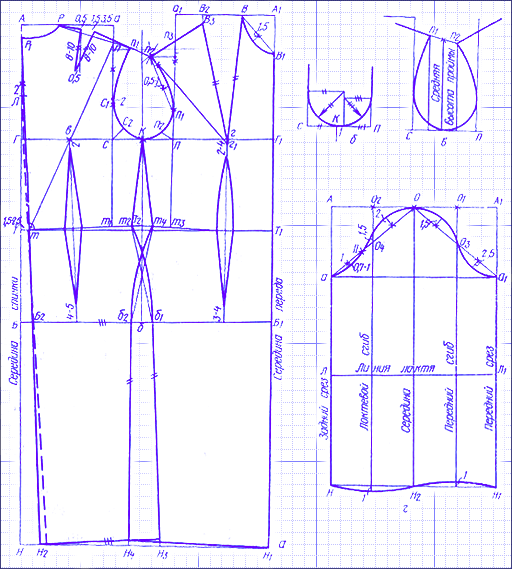 You must first build a drawing of the pattern for which is removed the following sizes: neck circumference, chest circumference, waist diameter, the length of the shelves, the depth of the armhole, the length of the back, sleeves and length of the product. 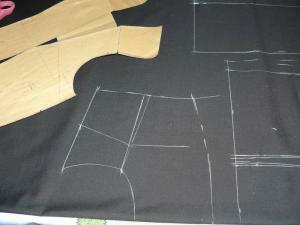 Next on a large sheet of paper draw all the details of the Bathrobeand separately, in addition to symmetrical. Remember that when stitching all the detail is lost of the material to the seams, cuffs and podvoroty, and the collar may have a double layer of cloth, then it is stitched from the wrong side and then turned over. So be sure to leave the stock edges when drawing, at least 4 cm. Cut templates out of paper, put them on the fabric, trace with a dry soap and start smachivanie all the details. Do it big stitches, preferably by threads, with contrasting color material. Further having a fitting, make your adjustments to Your liking by changing the location of the sour cream seams. Prostrochite basic details of the Bathrobe. Sleeves and cuffs are sewn podvorotni last. Remove the stitches, smachiwausa Your Bathrobe. Determine how you will be committed Bathrobe, i.e., buttons or belt. Mimetite loop on the machine. If You decide to do the belt, then, knowing the diameter of the waist, and to determine the width of the belt, you will be able easily to carve out the time. Also keep in mind podvorot, loss of material at the seams or that the belt is double-sided. Sew it on the wrong side and turn after that. Remember that in order to avoid unpleasant situations with failing seams, it is necessary to choose only high-quality material and thread. Filing and podvoroty better to fold the cloth twice. Summer gown, it is recommended to sew from light and smooth materials. In winter, when you want more heat, you need to choose thick fabric, perhaps with a NAP.